Menopause & Food Workshop - SOLD OUT! Menopause is a time of many changes for women, physically, emotionally and mentally. It can be a period of midlife mayhem with our hormones in the driving seat. Diet and lifestyle also play a significant role during this time. There is no doubt what we eat influences our health and hormone function. 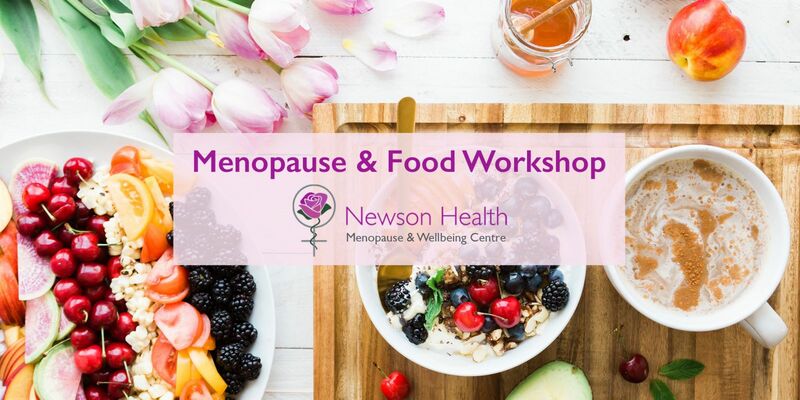 This workshop, run by renowned chef and nutritional and lifestyle blogger, Sabrina Zeif, includes a discussion on the hormonal upheaval of menopause and its symptoms. It’s an opportunity to share personal journeys while learning how diet can help to manage menopausal symptoms. FACT: Women need more protein throughout the day when they reach menopause. 2. Your diet and your hormones. 3. Are you nutritionally healthy? 4. The top ten weight loss mistakes women can make. 5. A healthy gut and hormonal health. 6. Phytoestrogens and your daily diet. 8. Diet Do’s & Don’ts. 9. Sample breakfast, lunch and dinner menus. 10. Treatment options: HRT and Natural Alternatives. 1. Have a greater understanding of menopause, symptoms and hormonal health. 3. Tops tips on diet, exercise and lifestyle during the midlife menopause years. Sabrina says "The aim is to help women become empowered and confident so that they can not only cook and eat to address any hormonal imbalances and nutritional deficiencies caused by menopause but also feel supported and educated about how to embrace menopause more generally." For more information about Sabrina Zeif and The Menopause Chef visit www.themenopausechef.com or email events@newsonhealth.co.uk.